Yes, I do write my own material and yes, I am here all week (try the veal) etc. Anyway, it’s 5 May! And because 90% of you reading this are European, that will mean absolutely nothing whatsoever! It’s just the day after Star Wars Day, right? But those of you in the US, or unbashed Americophiles like me, will know that it is Cinco de Mayo – a celebration of Mexican heritage that is observed widely across the US and in parts of Mexico. It marks the anniversary of the Mexican victory over the French at Puebla in 1862 and is celebrated today with festivals, music and, most importantly, Mexican food and lots of margaritas. Far be it from me to overlook any holiday or celebration (irrespective of nationality, religion or creed) that involves tequila. 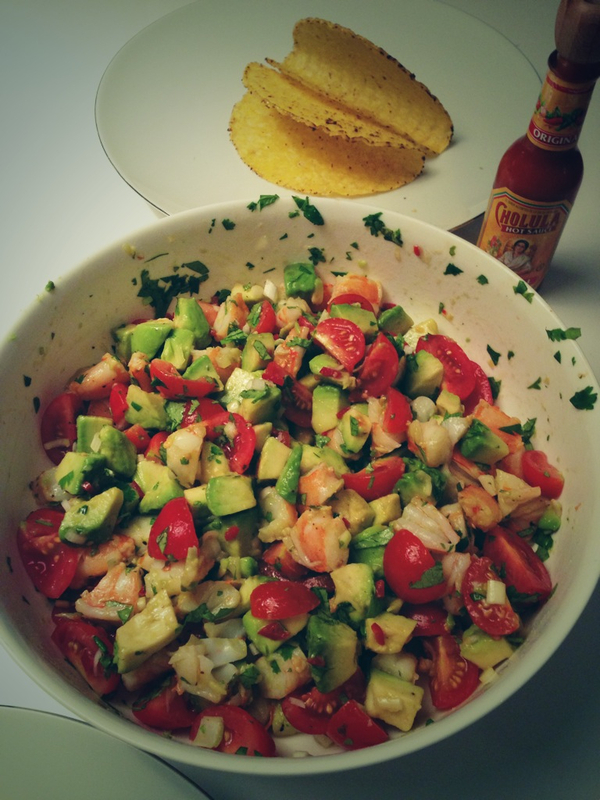 So this isn’t really a proper recipe post at all but just a friendly suggestion to fix yourself a margarita (or open up a Pacifico beer) and rustle up something Mexican to soak up the alcohol. Some of my Mexican themed favourites are below, including a brilliant prawn avocado taco and my husband’s world-beating guacamole. But first things first: you need to get yourself that drink. You can find my Grapefruit (and/or Blood Orange) margaritas here, but for you purists I make my ‘classic’ margaritas with tequila, lime juice and cointreau in a 3:2:1 ratio. I shake it over ice but don’t put any ice in the glass. If you’ve made it properly it won’t even get to room temperature before you’ve finished it. Tequila is one of those things where you really do get what you pay for. To be called tequila it must be at least 51% blue agave (the rest will be water and sugar) but the really good stuff is 100% agave. 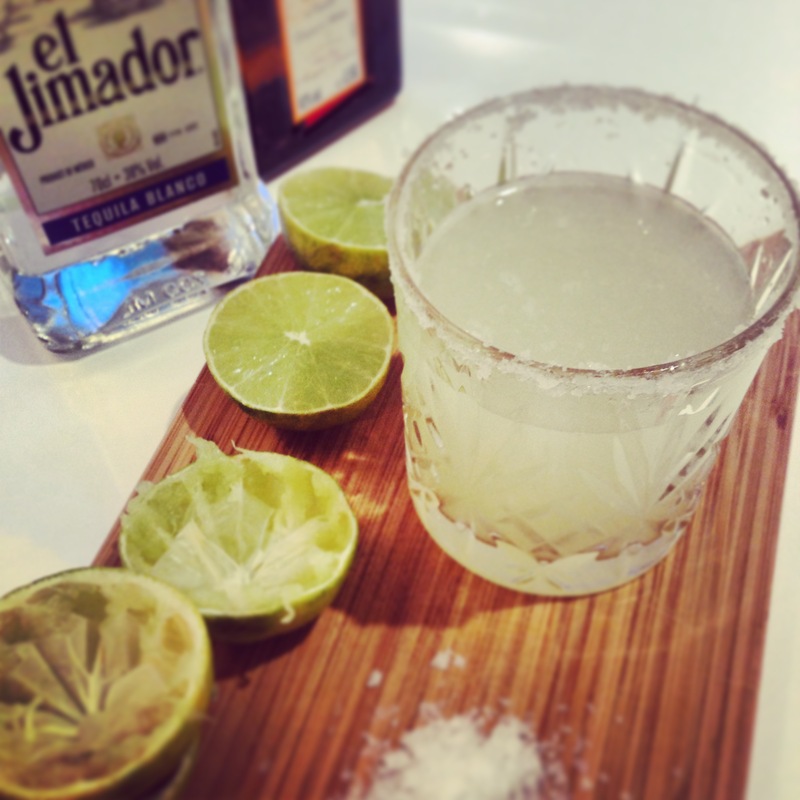 A decent bottle of 100% agave tequila blanco – the white or silver stuff that is perfectly fine for making a margarita – really doesn’t cost that much, certainly no more than a very average bottle of gin. The decent aged stuff (reposado or añejo) that you can drink straight up is a bit more pricey. But we’re all here for the margaritas today anyway. We will be having chipotle spicy chicken this evening (to use up roast chicken from last night) broadly following Thomasina Miers’ Tinga Chicken recipe. This will be thrown onto some corn tortillas. I buy the Cool Chile Co ones from Whole Foods and keep them in the freezer but you can buy them direct online here. Watch out for “corn” tortillas from the big brands like El Paso and Discovery though – they are no more than 20-30% corn and the rest is wheat flour so no good if you are gluten free or just trying break up your wheat intake. The chicken will be topped with Gwyneth’s Pico de Gallo (tomato salsa, in other words; I use spring onions as white onion is hard to find the UK), some refried black beans (yes, refried, we are CELEBRATING remember? ), sour cream, grated cheese and my husband’s really brilliant guacamole, which we will talk about in just a moment. Oh, and some hot sauce. LOADS of hot sauce. The Cholula brand is our house favourite and is fairly easy to find in supermarkets. The Tabasco Chipotle sauce is very good too. Another great healthy option is fish tacos – see another Gwyneth recipe here from her first book that I have made a lot. Shredded cabbage works really well with fish tacos for some reason – it is what they do at Wahaca too. Vegetarian? There are some fabulous looking ideas among this list of vegetarian tacos from NoshOn.It. The honey-lime sweet potato & black bean (No.4) and the radish-feta-black bean (No.9) offerings will be getting an outing in our house very soon. I really think that, because the main event in most Mexican meals is the chilli, guacamole and salsa, meat is really very optional when putting together a great taco. Mash the avocado roughly with a fork and add in the other ingredients. Mix well – we leave this quite a way short of puréed, not CHUNKY but so that at least some of its constituent elements are recognisable. Adjust adjust adjust – the lime, chilli and seasoning are what you are going to need to play with until you are happy with it. Arriba, abajo, al centro, pa’ dentro! Thanks so much for the taco recipe shout-out Kate!